Let’s taco about this because you MexiCAN not, MexiCAN’T. Too much? Okay we’ll shut up now. Bless the foodies out there for creating what must be one of the best innovative desserts we’ve seen so far – dessert tacos. Crispy or soft, tacos contain beautiful things inside like ice-cream, fruits, whipped cream, etc. It’s all up to your imagination, fill your taco with whatever you thinks sounds delicious! We’ve shortlisted some of the best dessert tacos we’ve come across. 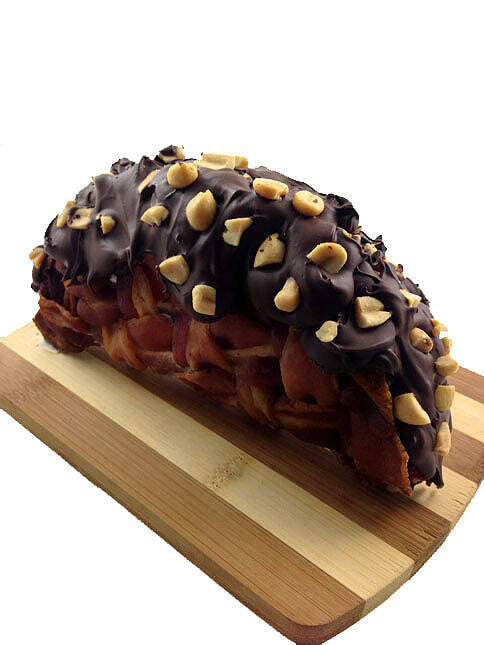 Hold your horses and your tongue, because you’re going to start salivating! 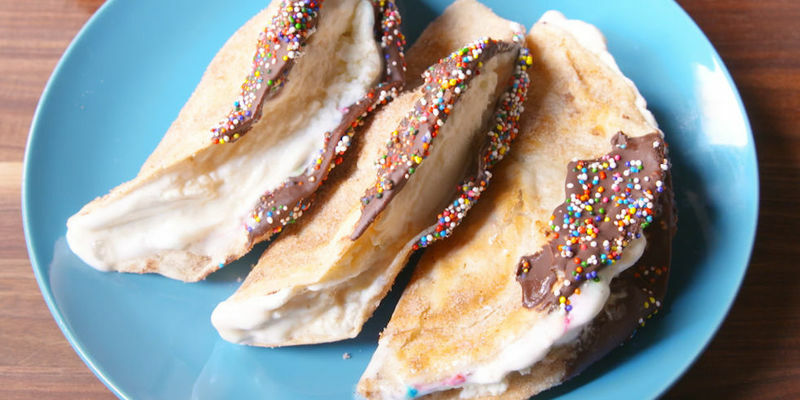 Chocolate dipped tacos with sprinkles hold between them scoops of classic vanilla ice-cream. Ice-cream topped with some caramel sauce, this taco is the best of both worlds! 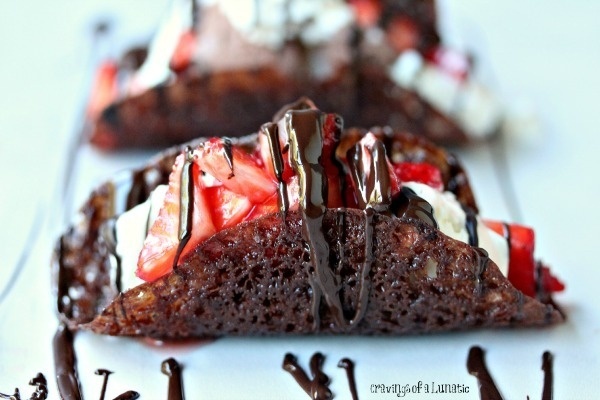 These chocolate tacos have everything we hold dear – chocolate and vanilla icecream, whipped cream and strawberries. Drizzle some chocolate sauce over it and take a bite! Coco choco tacos – has a nice ring to it right? If you’re coco about coconut, fill your tacos with some coconut icecream and add coconut oil to your tacos. 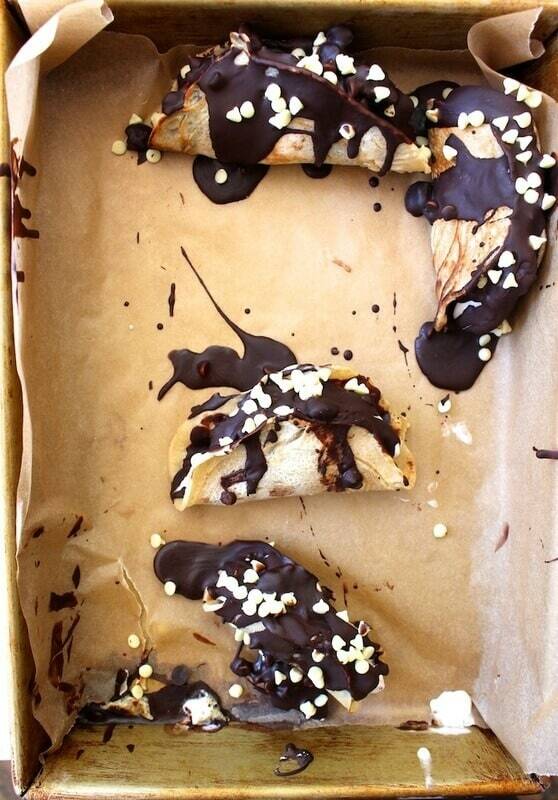 Melt chocolate over the tacos and enjoy! If you worship chocolate, you’ll love this. 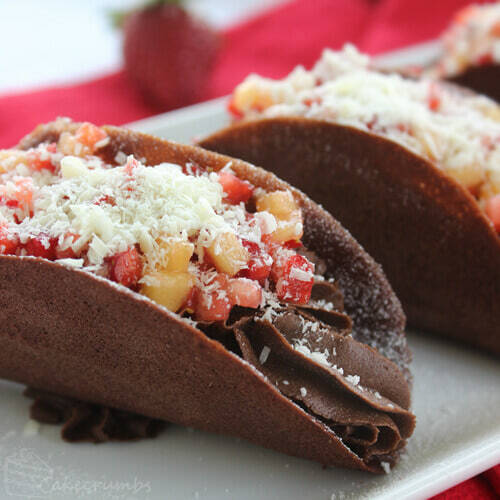 The tacos are made of chocolate and they contain chocolate avocado mousse topped with strawberries and golden kiwis. Grate some white chocolate over it to give it that ‘cheesy’ look! Weave a bacon square, cook it, cut out a circle and let it hang. Put chocolate icecream in the middle and melt chocolate over it, topped with peanuts. Sweet and savoury, this is a delight! Go banana over bananas! 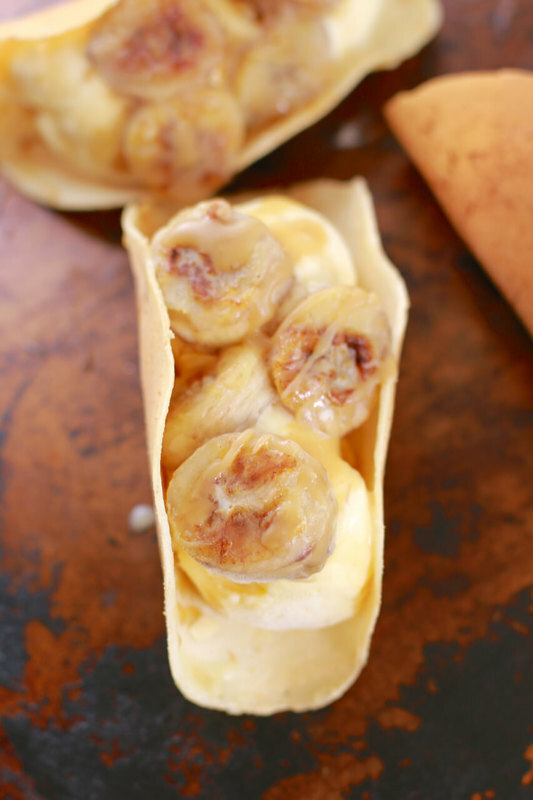 Vanilla icecream, grilled bananas and some caramel sauce covered in a taco is a great way to end the meal. Too lazy to make tacos? 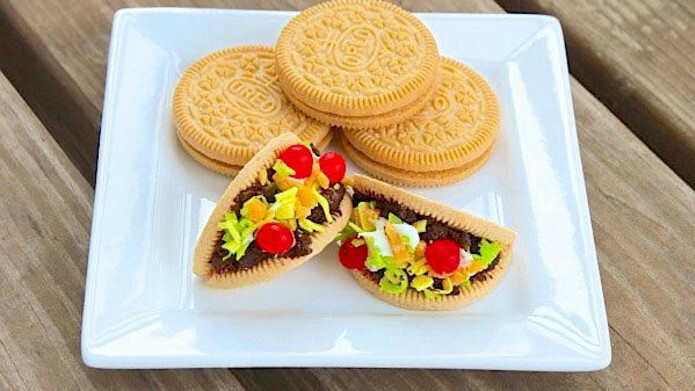 Split an Oreo cookie, add peanut butter melt in between two cookies to keep them shut.Add crushed chocolate Oreos, white frosting, candies and grated coconut to golden Oreo tacos. Try out these mini packets of goodness! Craving something more fruity? 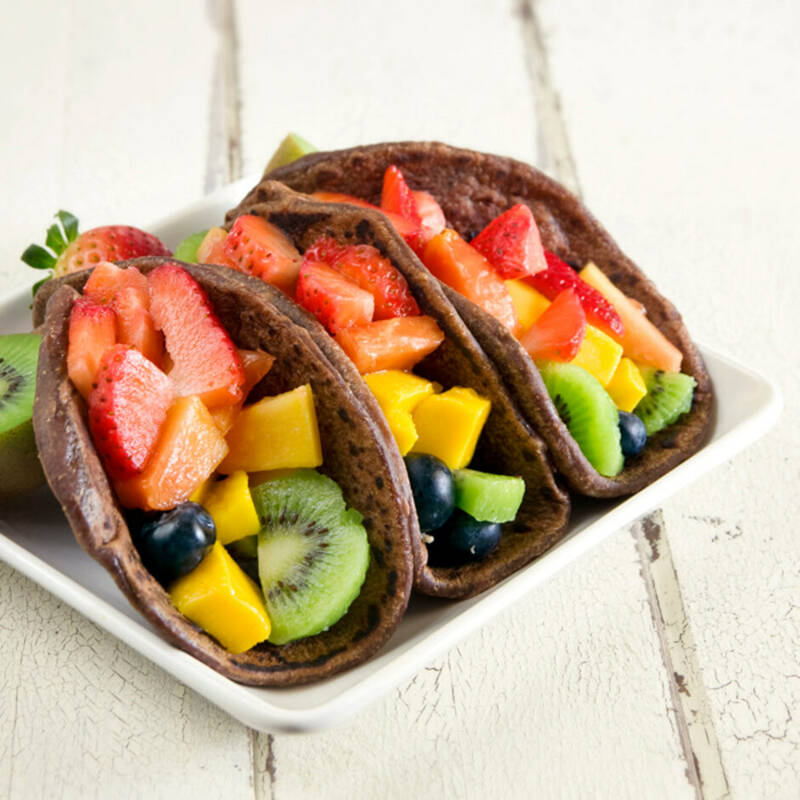 Try out these chocolate tacos that hold a bunch of fresh fruits in them – kiwis, strawberries, blueberries, papaya and mango. A great choice for breakfast! A great way to start the day, this breakfast taco is something you cannot miss. 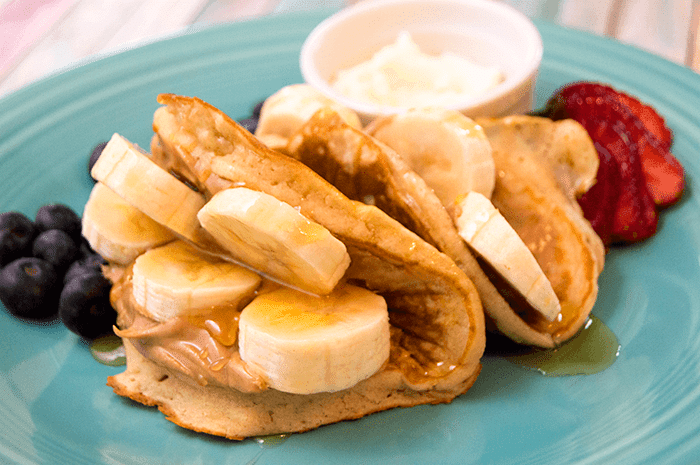 Pancakes, bananas, honey and peanut butter make this a healthy and yummy breakfast! Need a break from baking? 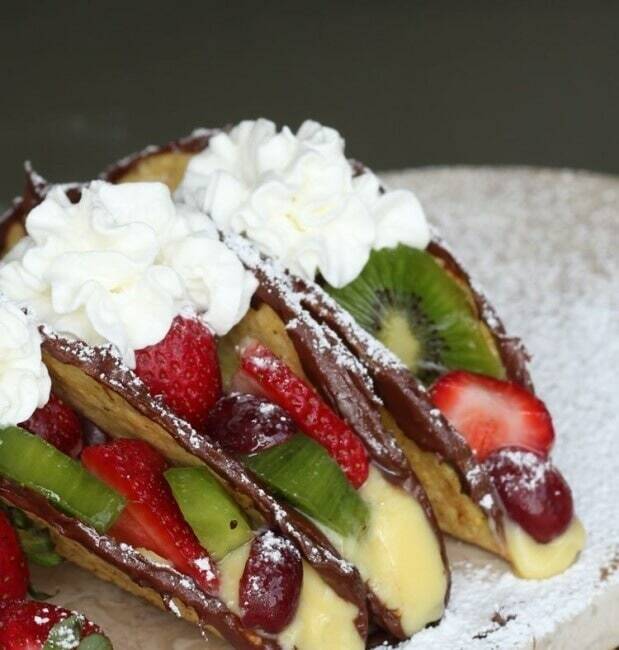 Fill your store bought taco shells with vanilla pudding, topped with fruits, whipped cream. Line your tacos with Nutella and enjoy! Taco Taco Taco! Can’t get enough? Try out these savoury taco recipes next!